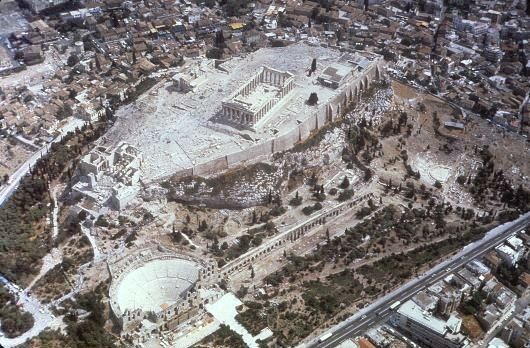 Herod's Odeum had a three-storey facade, preserved to a height of 28 m.
The south slope of the Acropolis played a significant role in the artistic, intellectual and religious activity of ancient Athens. 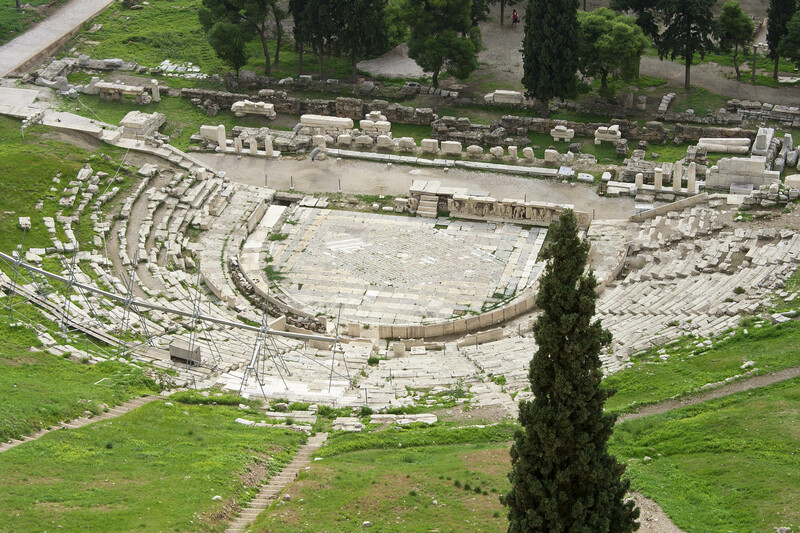 It was here, in the sunniest side of the hill, the Athenians established the principal shrine of Dionysus in Attica and most importantly the theatre where the ancient Greek drama was born. 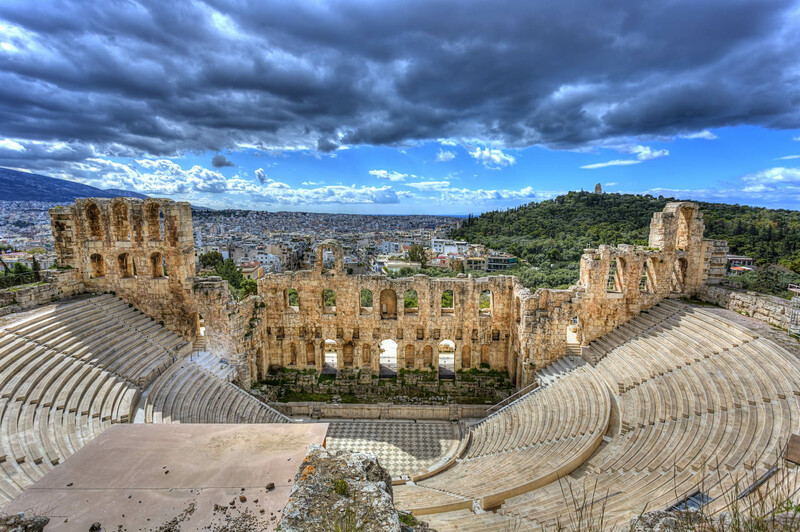 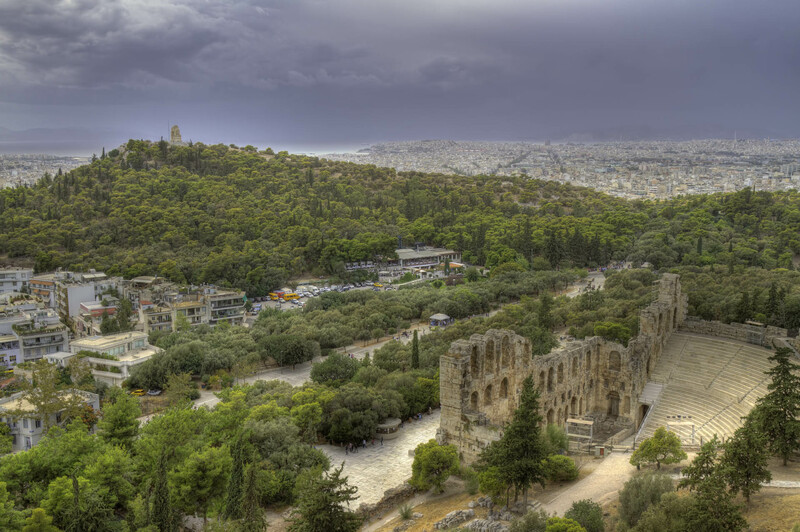 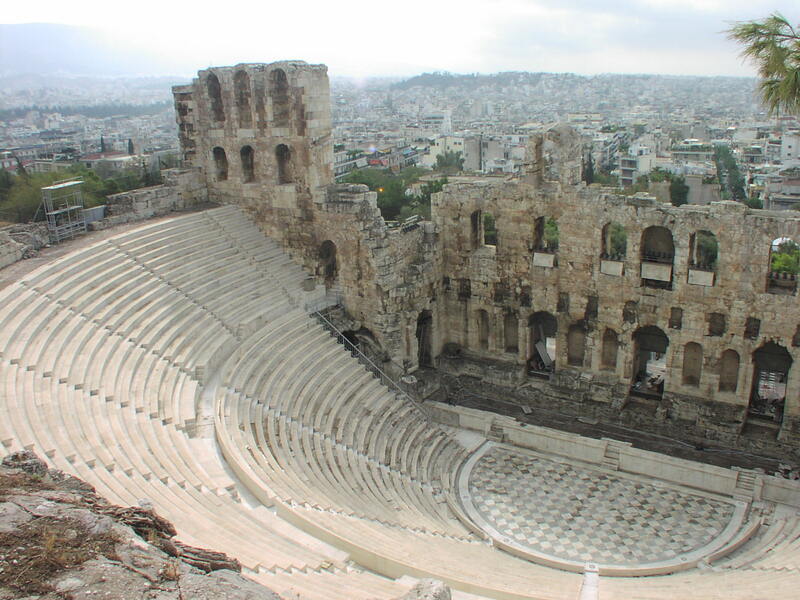 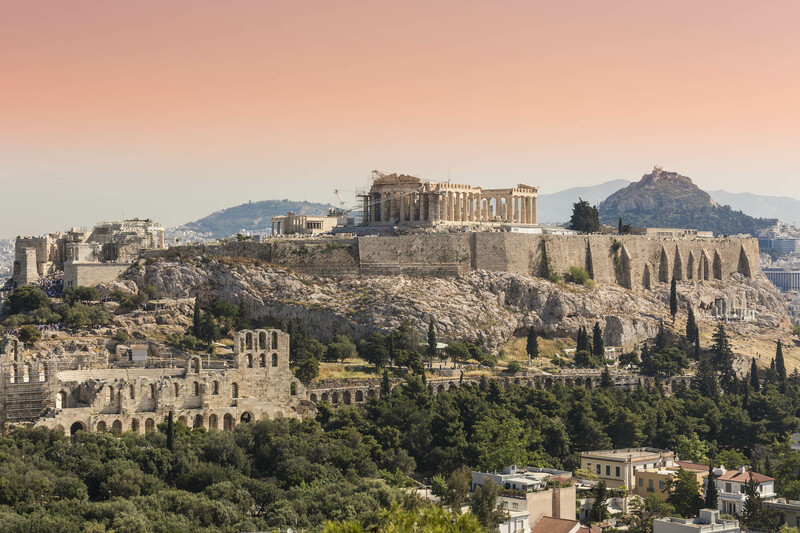 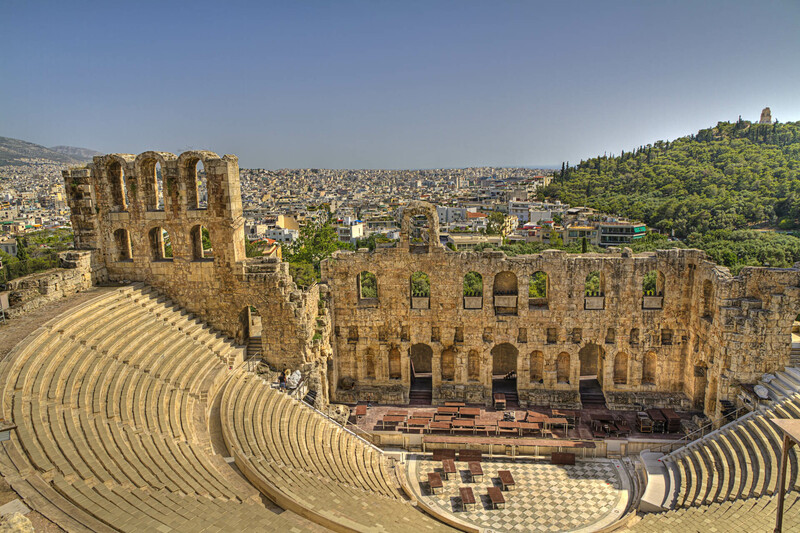 By the mid-5th century BC, Pericles built an odeum (now poorly preserved) to host musical contests, while its Roman successor, the Odeum of Herod Atticus, still lies at the heart of the city's cultural life. 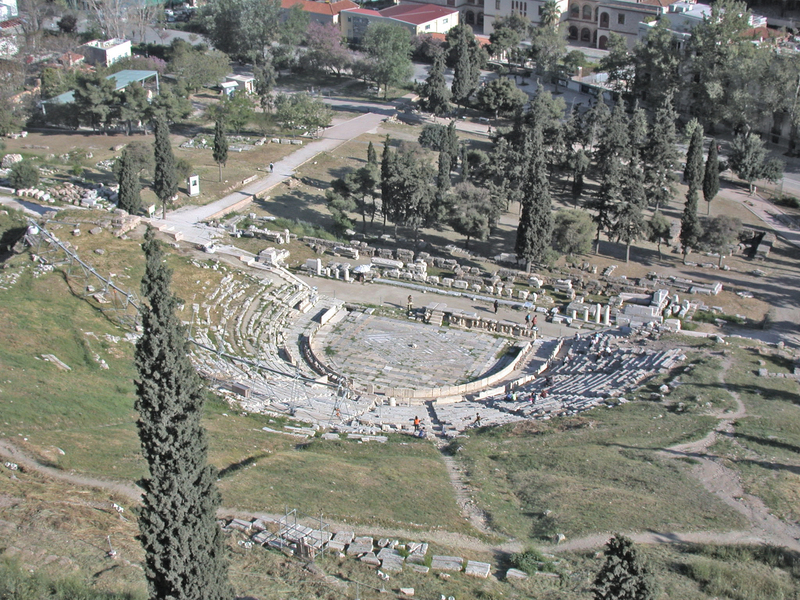 Herod's Odeum was a case of exceptional benefaction to Athens but not the only one: The stoa of Eumenes II, king of Pergamon, was an imposing building running along the foot of the hill. 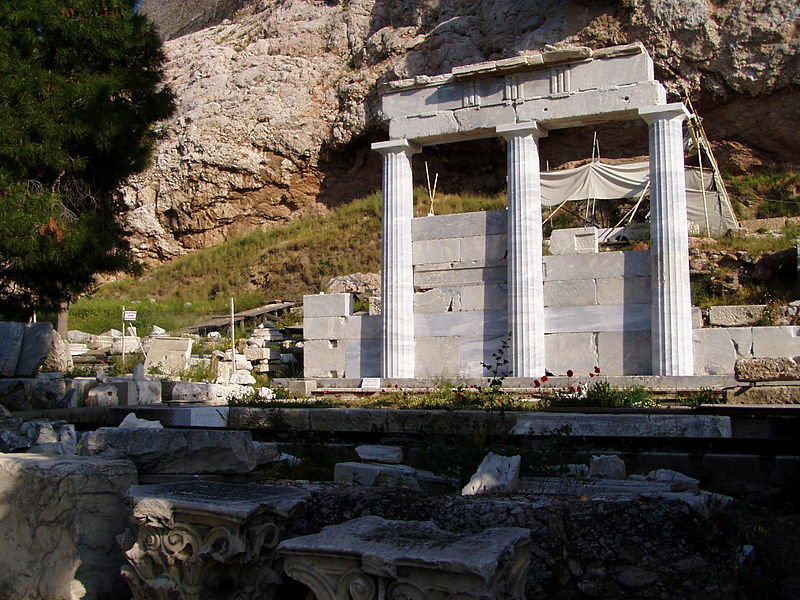 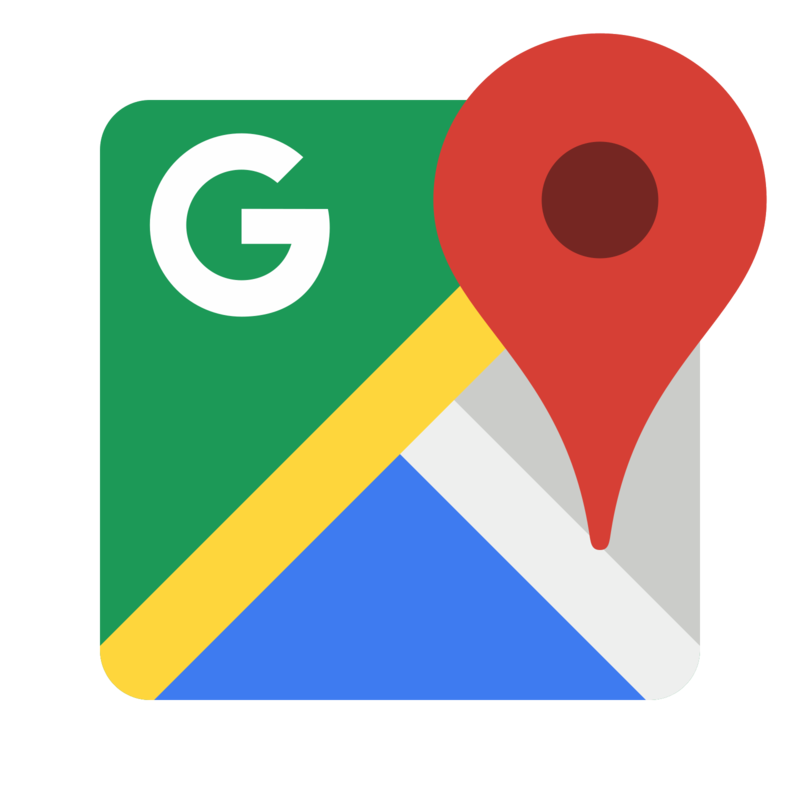 Its counterpart is to be found in the stoa his brother Attalus erected in the ancient agora of Athens.